Windsor Regional Hospital says that a 70-year-old memorial outside the Ouellette Campus has been vandalized. 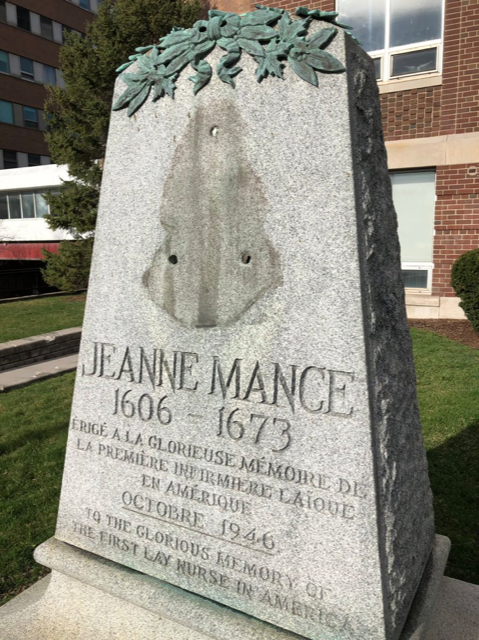 The sculpture of Jeanne Mance, a historic figure known for being among the founders of Montreal’s first hospital, Hôtel-Dieu de Montréal, in 1645, has been removed from a monument outside of the Jeanne Mance building on Ouellette. The monument was put in place on the property in 1946. Officials say that they believe the sculpture is made of copper and may have been removed for its value. Anyone with information is asked to call hospital security or Windsor Police at 519-258-6111.